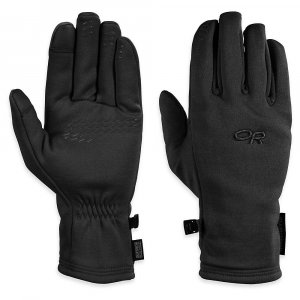 Visit Outdoor Research's Men's	Sensor Gloves page. 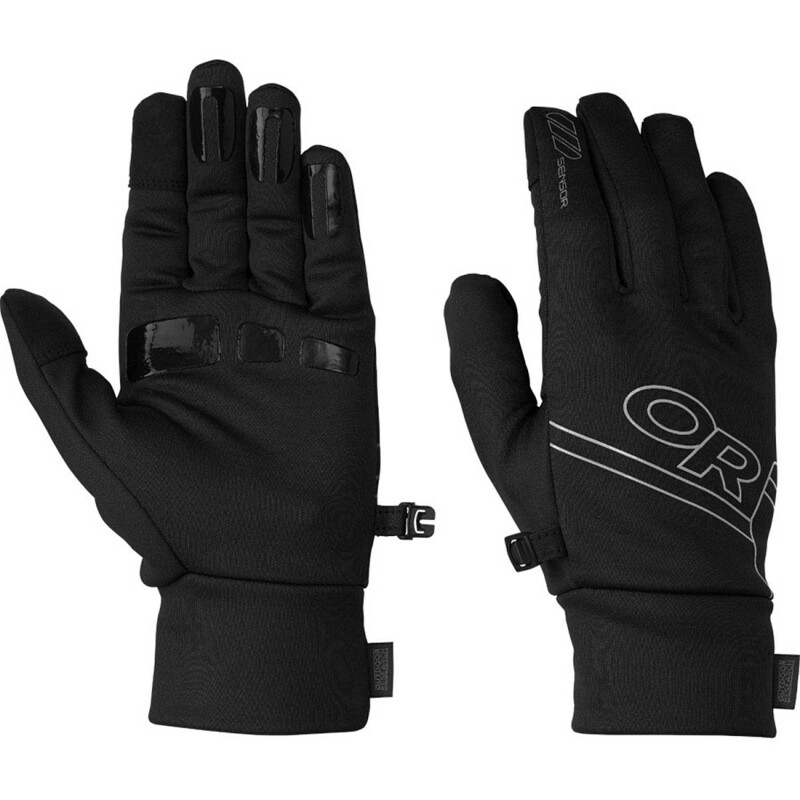 The Outdoor Research Men's Sensor Gloves allow the use of touch screen devices without the need to remove your gloves, keeping your hands warm when you break out the gadgets in cold weather. 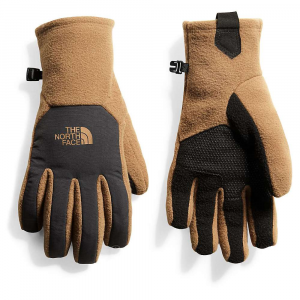 These wind-resistant gloves are built from insulating, 100-weight Radiant Fleece and feature TouchTec leather palm technology. 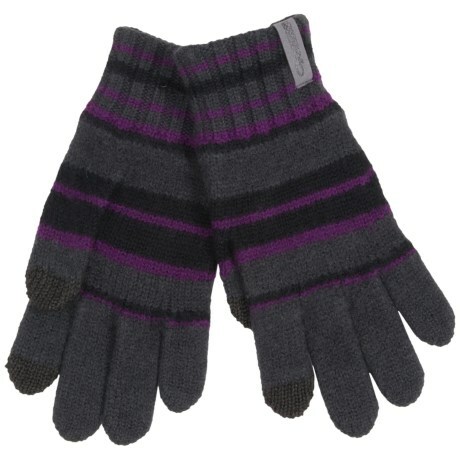 MirrorSeam and MotionWrap construction ensures a comfortable, snug fit. 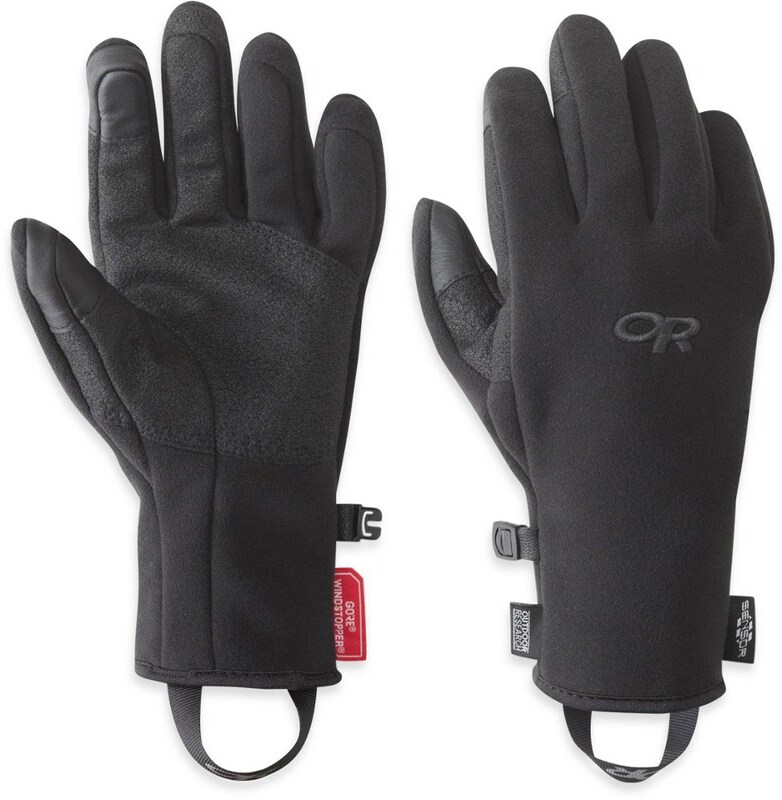 Whether youre cross country skiing in a brisk breeze or running errands in town, the Outdoor Research Sensor Gloves for men can stay on your hands at all times, even if you have to close a deal on your iPhone. 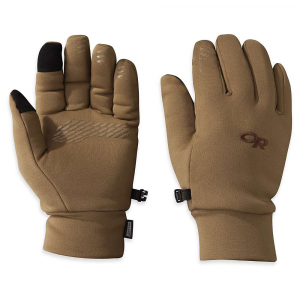 Built of wind-resistant, insulating 100-weight Radiant Fleece(TM), and touch-screen-compatible technology, Outdoor Research Sensor Gloves keep your hands warm, and you connected.